Offering Goshen and Monroe drivers significantly more space and plenty more features, the 2016 Honda Odyssey can easily hold its own against the 2016 Nissan Quest. Excelling across every area of interest to minivan owners, the Odyssey retains its title as the most popular vehicle in its class. The 2016 Honda Odyssey is one of the most flexible vehicles in its class, offering five well-balanced trim levels for Goshen and Monroe drivers to choose from. LX: The entry-level Odyssey offers premium features as standard, including a rearview camera, Bluetooth HandsFreeLink system, and one-motion 60/40-split third-Row Magic Seat. EX: The EX comes with tri-zone automatic climate control coming as standard, plus the convenience of Smart Entry and the safety that comes with a Honda LaneWatch feature. SE: The SE trim is all new for 2016, providing features like the HondaVAC built-in vacuum and Honda rear entertainment system without making you pay out for a top-of-the-range model. 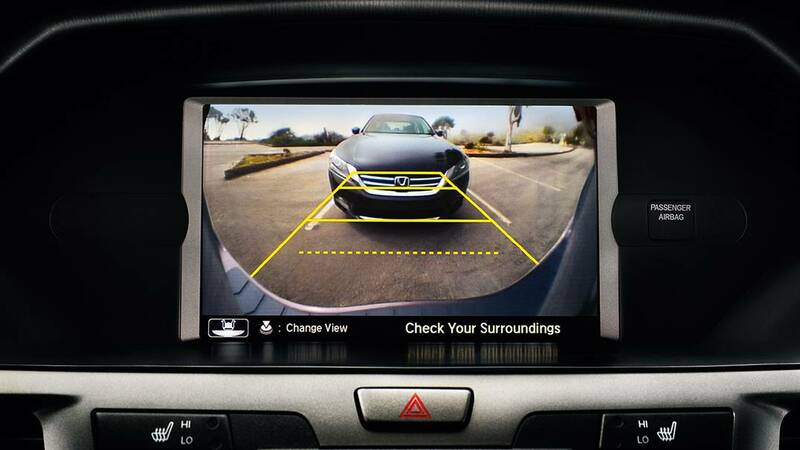 EX-L: The EX-L adds first-rate driver assistance features, including Forward Collision Warning and Lane Departure Warning systems, as well as an auto-dimming rearview mirror. Touring Elite: The Touring Elite delivers state of the art technology, such as an Ultrawide rear entertainment system, 12-speaker, 650-watt premium audio system, and blind spot information system. 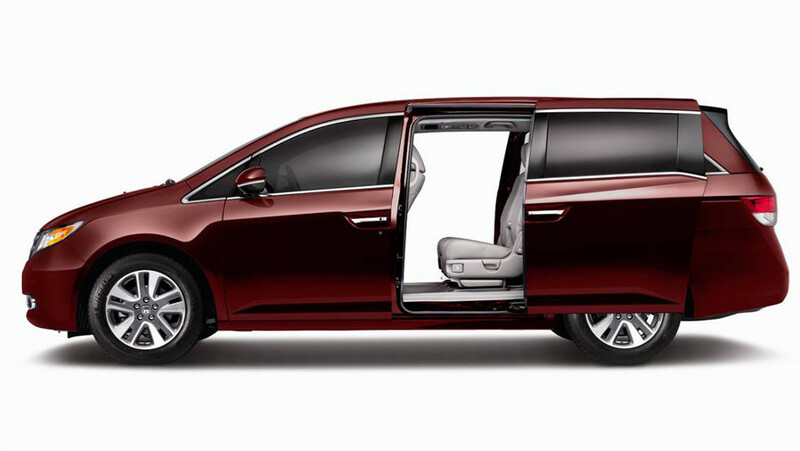 The 2016 Nissan Quest provides just four trim options. S: Offers 16-inch steel wheels, cruise control, a four-speaker sound system, and cloth upholstery. SL: Stands on 18-inch alloy wheels, with automatic headlights, heated mirrors, and an auto-dimming rearview mirror as standard. Platinum: Features navigation, an 8-inch touchscreen, and DVD entertainment system. The 2016 Nissan Quest fits a 3.5L V6 rated at 260 hp and 240 lb-ft of torque, but you’ll find that you’ll only make up to 27 mpg in the city*. 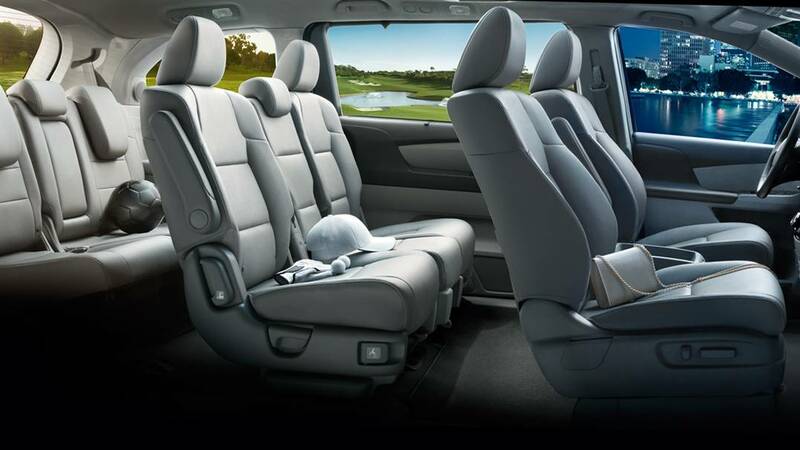 The 2016 Nissan Quest really drops the ball when it comes to interior space, despite the fact that larger dimensions are one of the main reasons why Goshen and Monroe drivers shop for a minivan in the first place. In fact, the Quest feels more like a crossover in terms of occupant and cargo capacities. Seating: The 2016 Honda Odyssey can make room for eight; the 2016 Nissan Quest tops out at seven. 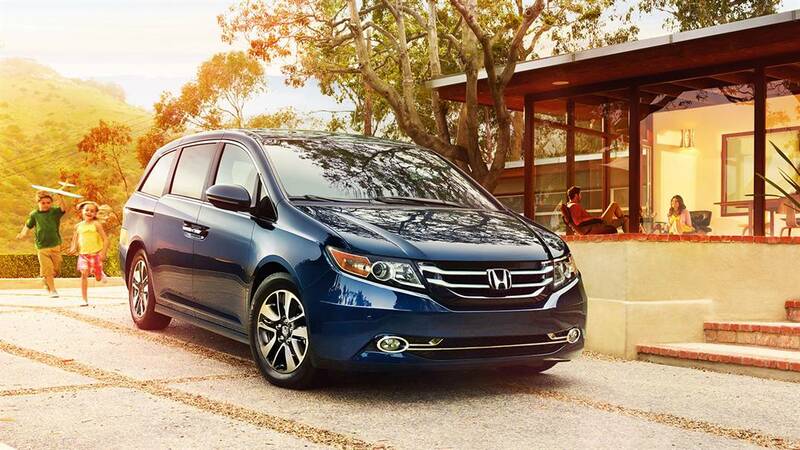 Dedicated Cargo Space: Up to 38.4 cubic feet in the Odyssey vs. just 25.7 in the Quest. Maximum Cargo Space: A cavernous 148.5 cubic feet behind the first row of the Odyssey vs. a disappointing 108.4 behind the first row of the Quest. 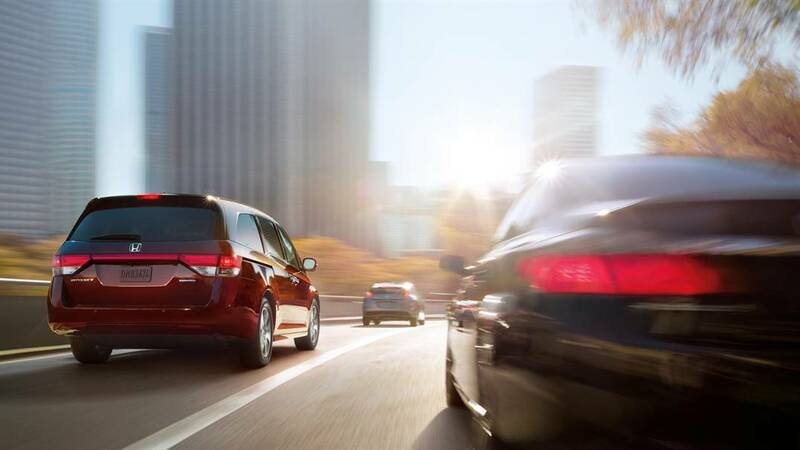 Goshen and Monroe families need a spacious minivan to meet their practical demands, but they also look for a generous list of features to make each drive easier and more entertaining. The 2016 Nissan Quest fails to deliver; unlike the 2016 Honda Odyssey, it doesn’t even offer basic features like a rearview camera, power driver seat, and automatic headlights as standard. 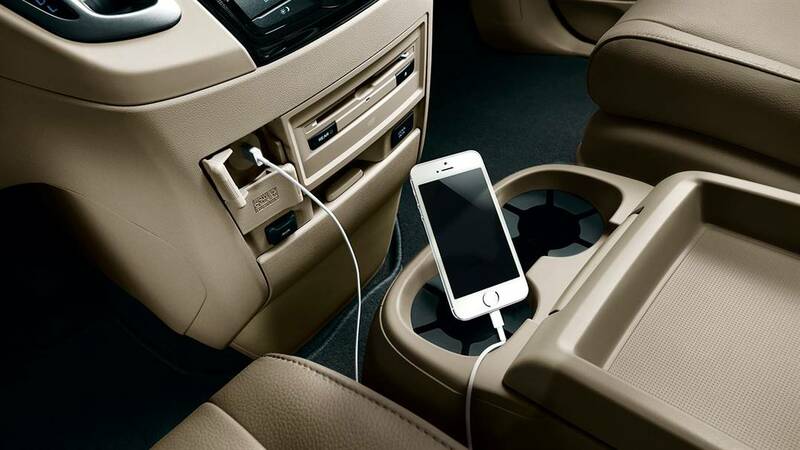 It also lacks many of the Odyssey’s innovative available technologies, such as the HondaVAC built-in vacuum, which is ideal for cleaning out the vehicle in a hurry, or the ultrawide rear entertainment system, with a 16.1-inch display to keep the kids happy. 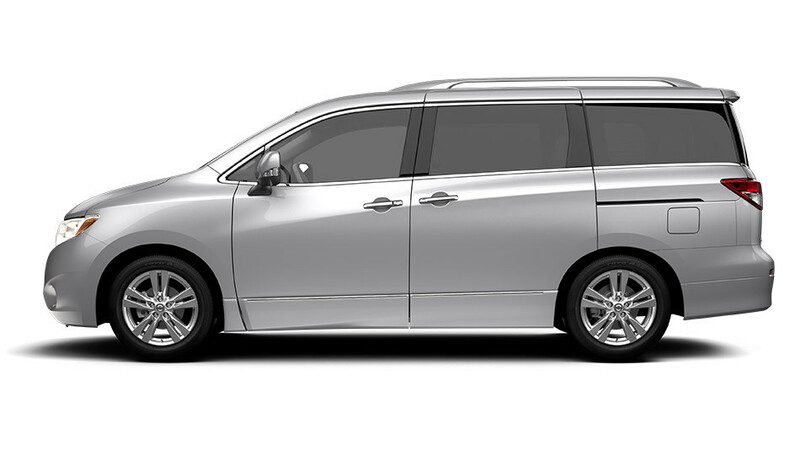 Minivans often fail to meet industry expectations when it comes to crash testing, and the 2016 Nissan Quest changes nothing, scoring a rating of “Poor” in the IIHS’s small front overlap test, ‘Acceptable’ in terms of roof strength, and “Marginal” in terms of the child seat anchors. A minivan should be spacious, well-equipped, and offer an extreme level of protection for you and yours. If that’s what you’re looking for, better bypass the 2016 Nissan Quest and head down to Middletown Honda to ask about the 2016 Odyssey.